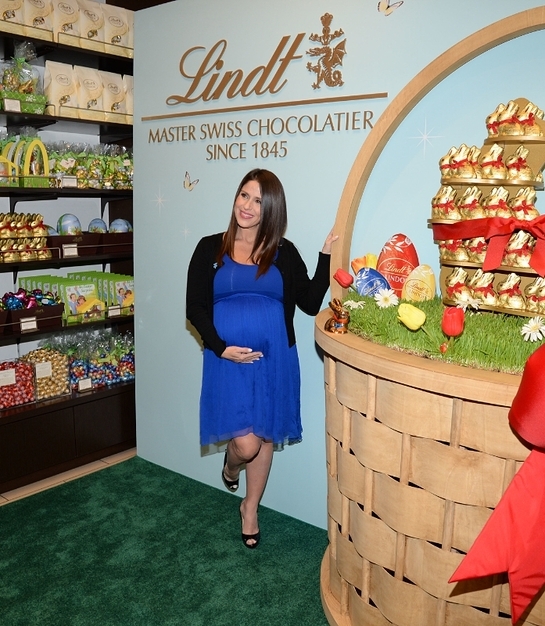 Soleil Moon Frye, actress and mother, joins premium chocolatier Lindt USA to help launch the seventh Lindt GOLD BUNNY Celebrity Auction benefitting Autism Speaks, the world’s leading autism science and advocacy organization. Since 2009, Lindt has raised funds and awareness for the cause during the Easter season through a give back with purchases of its iconic Lindt GOLD BUNNY, and the Lindt GOLD BUNNY Celebrity Auction. Frye is one of 50 celebrities in the entertainment, sports, food and music industries – from Julia Louis Dreyfus, Neil Patrick Harris, Sarah Jessica Parker, and Russell Wilson – are participating in this year’s auction by autographing porcelain figures of Lindt GOLD BUNNY, with 100 percent of proceeds donated directly to Autism Speaks. This year, 50 actors, award-winning musicians, acclaimed athletes and celebrity chefs have donated their signature to the Lindt GOLD BUNNY Celebrity Auction, personally signing porcelain versions of the iconic Lindt GOLD BUNNY. The autographed bunnies are now available on LindtGOLDBUNNYAuction.com, where fans can bid on the figures until March 20, 2016. In addition to the money raised through the Lindt GOLD BUNNY Celebrity Auction, Lindt is donating 10 cents to Autism Speaks for every Lindt GOLD BUNNY Milk Chocolate 3.5 oz purchased now through Easter on March 27, 2016, at retailers nationwide, Lindt Chocolate Shops and www.LindtUSA.com, up to $100,000. Since the start of the partnership, Lindt has generated more than $800,000 for Autism Speaks with help from Lindt GOLD BUNNY, the best-selling chocolate bunny in the U.S. Contributions from Lindt have led Autism Speaks to help individuals with autism and their families in a variety of ways, including global biomedical research into the causes, prevention and treatments for autism, educational toolkits for newly diagnosed families, grants for community programs, and scholarship funding to educational institutions.